Here is the long awaited and eagerly anticipated review of my weekend at the British Rental Kart Championship in Milton Keynes. As readers of my blog and my friends will know, this was my first competitive championship. I didn’t expect to do particularly well in it, but it was an immense challenge for me to even compete against some the best kart drivers in Europe that I couldn’t pass up, even at my early stage in my “career”. I relished the opportunity to test myself, but I became very nervous on the Friday before the designated practice rounds and even more so during the session. The first thing I realised is that is the gulf in class between the competitors at the BRKC and at my local track is HUGE. The karts were superb (I honestly never drove a bad kart all weekend) and the circuit was very enjoyable but unforgiving; the slightest mistake on the brakes, missing the apex, or not carrying enough speed through a corner was punished. 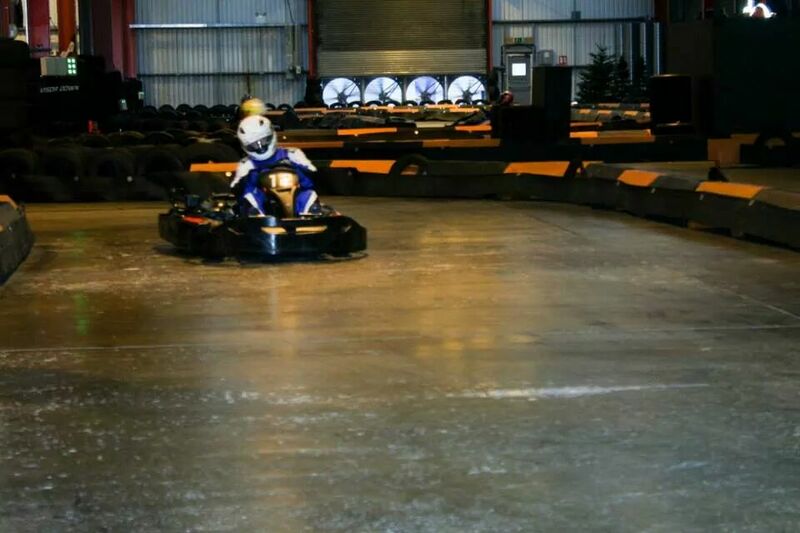 I tried to feel my way around the track on the first practice session; find a reference point for braking into each corner, where to position my kart and what kind of traction I could get on the exit of the corner. Well, that went out of the window after a couple of laps! I just couldn’t find anything to help me and my head was just full of the feeling that I had launched myself in at the deep end and was about to drown. I had calmed down (slightly) before the second session, but I was still struggling to come up with anything close to what I thought was respectable (my fastest out of both sessions was 36.085s, when the leaders were setting lap times in the 33’s). I didn’t have a sleepless night, but I did have a very nervous morning with my stomach doing somersaults before the 7:30am driver briefing. I had read the rules many times before the event, but now it seemed like an encyclopedia of information was being pushed into it. My first race was at 9am, so I had the chance to watch the first two heats before I had to take the hot seat. I’m not too proud to say that I was overwhelmed at the quality of drivers out there and I was worried that I was going to compromise their races by making a mistake. Which I did. I was trying to push for my fastest laptime in the first qualifying session and I had one of the predicted front runners, Remigiusz Drzazga, behind me. Well, I pushed too hard and slid around the hairpin at the end of the back straight, compromising my lap and, unfortunately, also slowing the driver behind me. I was gutted and I couldn’t stop apologising to the driver I had. Fortunately, Remigiusz is a true gent and accepted my apology (as best you can in two karts and with all the noise on the circuit!) and tried to calm me down a little. It did work a little and set the tone for the championship for me; all of the drivers were ultra-competitive, but the majority were also incredibly kind, sporting and supportive towards me during the competition. 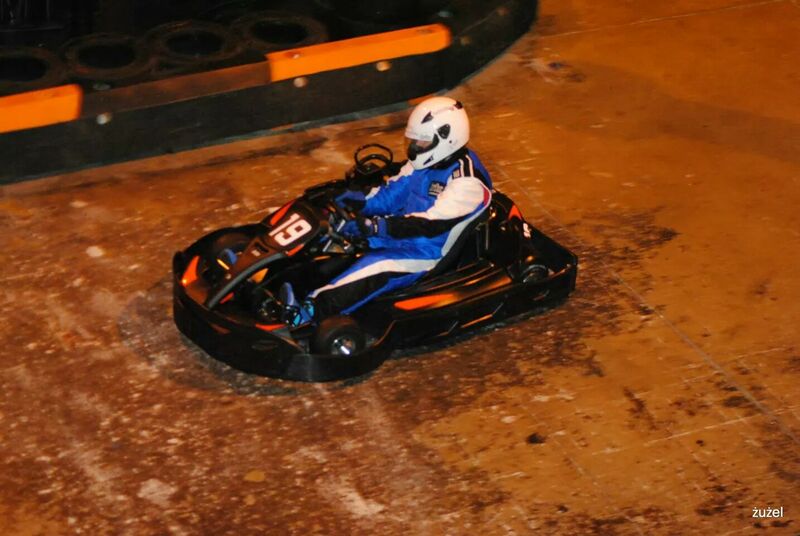 I qualified tenth, at the back of the field, with a time of 36.244s. In the race, I just couldn’t keep up with the other drivers. I couldn’t seem to get the whole lap together; I would make a mistake at one turn and this would slow me around the next two corners, the next lap I would nail the problem corner but then mess up the rest of the lap. I also made my first ever “pit stop” in this race, which also showed my nerves. I swung into the pits and stopped in the first box. Only just. My front wheels were just inside the box, but I worried that they weren’t, so pulled forward a little bit more, stopped again and was waved on my way to the second box. 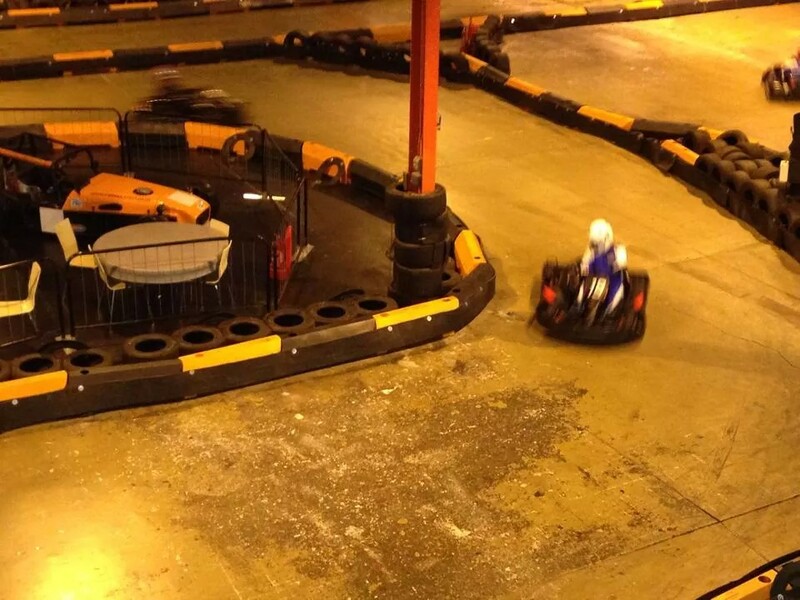 No such mistakes in the second box and I raced to the chequered flag. I was faster than before, my fastest lap during the race was 35.290s, a significant improvement on my practice sessions. Just when I felt that I was getting to know the track, it changed! One of the features of this year’s championship was that for rounds two and four, the circuit was modified and no driver had ever experienced the new track before their first lap in qualifying. My second race was at 3pm on the Saturday – 5.5 hours to recover from the first race and boy did I need it! 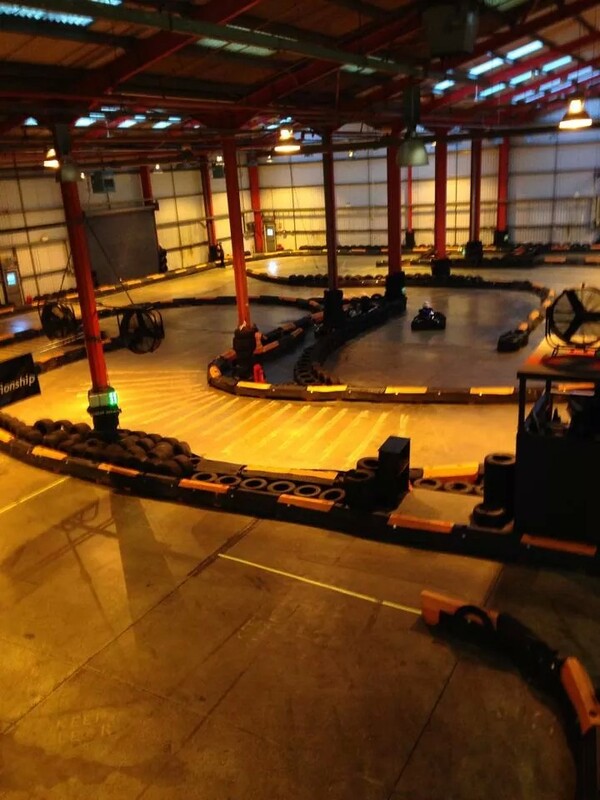 Having taken part in longer sessions than here in the past, I thought a 20 minute race would be a breeze, but I felt that there was an increase in the physical nature of the karting here. My arms ached and my lower back was strained. I really liked the new circuit; I like to think of myself as a technical driver (I’ve since reconsidered this statement!). Down on the track, however, it was different story. During qualifying, I forgot what track I was racing on, so like a couple of other drivers, I missed my turn-in point on the back hairpin. I ended qualifying with a 38.249s lap; almost three seconds off the pole sitter. I performed better in the race, but was nowhere near anyone in front and there seemed to be a steady stream of people coming around to lap me during the race (I was lapped twice by the lead group). Thanks to early pitstops by Arnaud Tinet and Marques Riddell, I spent the best part of ten laps in eighth place before I pitted! The other positive from this race was my pitstop; it was well-timed, clean and probably the best pit stop I performed all weekend! My fastest lap from this race was 36.491s, a massive improvement on my qualifying lap in this session, but a long way off the others. I was one of the lucky/unlucky ones who had three heats on the Saturday. My final heat was at 8pm, but I felt physically and mentally exhausted at this point. 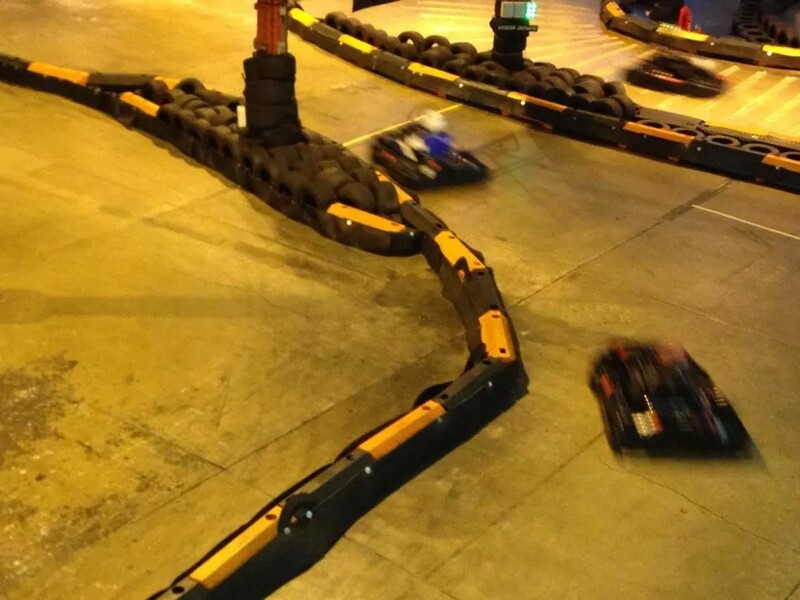 I can’t remember a great deal about the third heat, I was in auto-pilot mode, just trying to get around the track 35 times without crashing into the barriers or anyone else! Surprisingly (to me at least), I set my fastest lap of the weekend in this race, a 35.015s lap. I had planned to have a nice relaxing morning on the Sunday, perhaps a lie-in and maybe even pancakes and sausages for breakfast as my final heat on the Sunday wasn’t until 2pm. That didn’t happen, as I was too excited (despite me hurting and being as stiff as a board!). I believe that I was up at 6.30am and was up and about having a shower, getting ready for the day ahead, watching TV in our room (surprisingly enjoying the engineering side of the programme “Edwardian Farm”, which we watched back-to-back in order to stay in the room and relax a little bit more!). Anyway, I was ready for the off at 11am, so we stopped briefly at McDonalds before heading to the track. I don’t know what had happened to me mentally, but I was raring to go for this final heat. I was facing Ruben Boutens, the reigning BRKC champion (who later went on to retain his crown) and I was so motivated to at least compete with him even from the back of the field. It was also my last chance to compete on this stage, so I laid everything out on the line. My driving may not have pretty, but I was determined not to lose contact with the other drivers as early on as I had in the previous heats. Yet again, on the technical course, I qualified tenth (with a time of 37.257s), but when the race started I was all over the back of the ninth place driver, Paul Hedger (for the third time this weekend) and then, due to an early pitstop by Liam Brierley, I found myself battling for 8th position! I might have misjudged the timing of my pitstop in this race, because I felt compelled to pit early to follow Liam’s pit stop. This didn’t quite work out for me as I slipped back into tenth and Paul pitted a lap later to cover off my stop. I did close the gap slightly to Paul during the early pit stops, but I couldn’t keep my early pressure up, when I turned my head to see Ruben closing in on me and it was only lap 11! On lap 12, it was all over in a blink of an eye. I moved to the outside to let Ruben past and put a lap on me. I thought this was going to be a great opportunity to close back in on ninth place by following Ruben as close as possible and trying to use his lines through the corners. It did work to a point… I set my fastest lap on this course during the first lap of this “following” technique (a 35.731s lap). Alas, whilst I managed to keep him in sight for five laps, this tactic wasn’t going to make up for the massive difference in class and Boutens disappeared out of sight until he pitted. I had another couple of good laps after he passed me again on his out-lap but it wasn’t enough. Ruben was running away with the race win, so much so that I feared that the only other action I would see was him lapping me for a second time! I was determined not to let this happen after my colleague had tweeted me with a target: Not to be lapped twice in this race. I looked over my shoulder with about four minutes of the race to go and he was within touching distance. It sounds pathetic, but I was not going to be lapped again if I could help it (obviously I wasn’t going to block him if he made it close enough though!). The clock ticked down, to what I thought was about two and a half laps left and Ruben was on the back straight bearing down on me. I managed to complete that lap, but I wasn’t sure if I could hold him off on this lap. I looked straight forward and drove my heart out. As I came around the final hairpin, I saw the marshal come out with the chequered flag. It wasn’t for me (I had another lap to complete to see it) but I loved seeing it wave for Ruben behind me. I really enjoyed the next two laps; it was probably the most minor victory ever, but it was a victory for me. 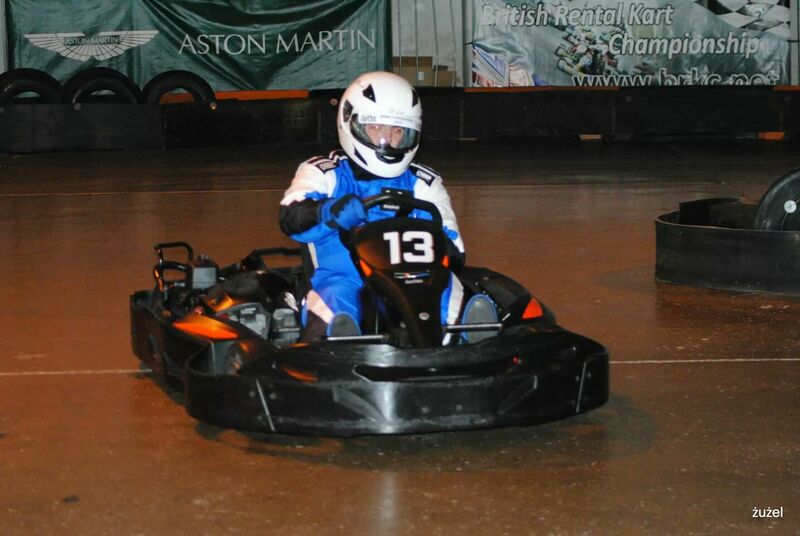 I held myself back from punching the air but I was definitely smiling under my helmet. I want to close this post and the BRKC weekend by saying that whilst it was tremendously tough and I was out of my depth this year, I didn’t finish last, I wasn’t the slowest and I WILL be back next year, I WILL be slimmer, fitter and more experienced and I WILL be competing for the bigger points. To all of the drivers this weekend, thank you. It would have been quite easy to ignore me, to ridicule my poor performances (some of you probably did!) and to write me off as just another amateur, but all I experienced from the guys I chatted to and raced with over the weekend was encouragement and advice. P.S. Thanks to Slawek Piskorz and Matt Curtis for some of the photos on this post! 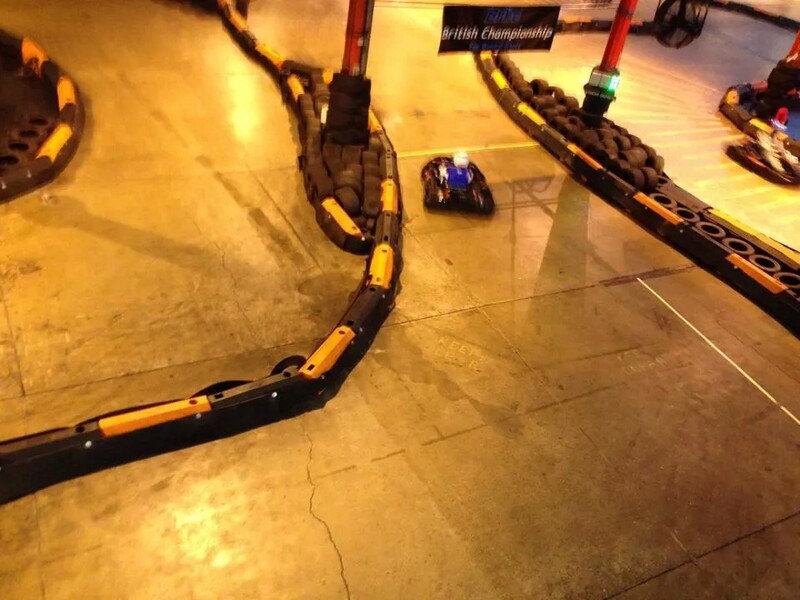 Mr. Philpot, one last thing… put me down for BRKC 2016! Great read and very pleased you enjoyed the event.